Rebecca Fitzgerald, Humber International’s Manager of International Mobility and Partnerships helps and supports students not only in pursuing their dreams of studying abroad, but in the full experience that is immersing oneself in learning a new culture, reflecting on this learning and with that, growing as a person, a global citizen and a future global professional in their chose field. 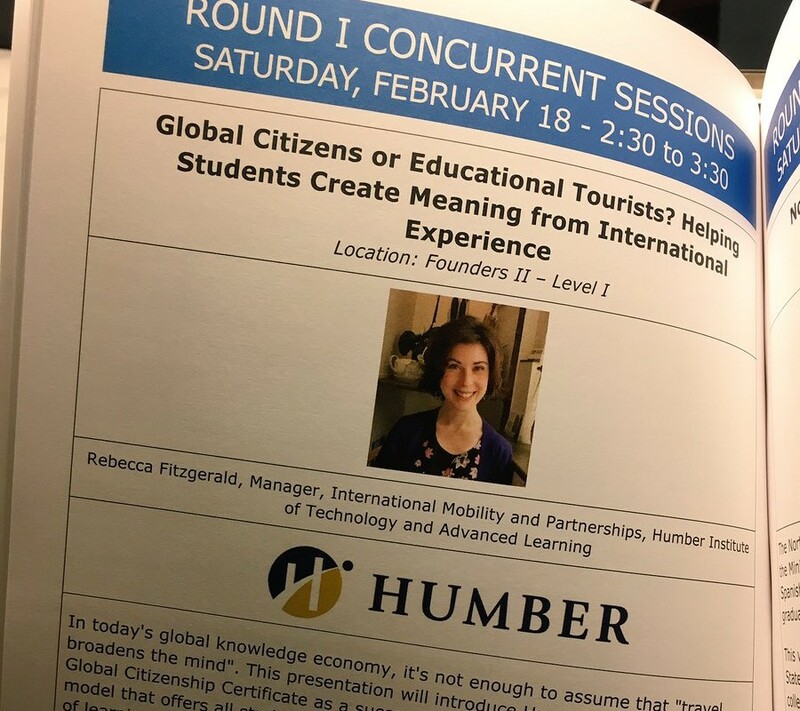 In the presentation Rebecca delivered at the 2017 Community Colleges for International Development (CCID) Conference which took place in Texas in February, she had the opportunity to introduce Humber’s successful, multidisciplinary, cross-college model that offers all students a structured academic pathway and articulated set of learning outcomes to develop their global experience, skills cultural learning. 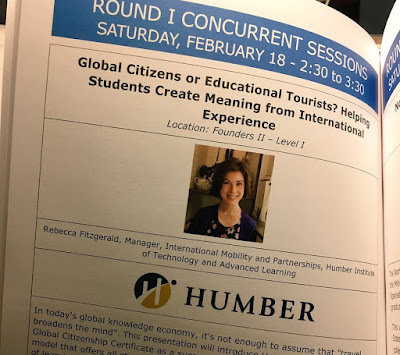 The presentation shared Humber International’s position and aim to transform "educational tourists with international experience" into global citizens who possess a deeper understanding of their rights, responsibilities and skills for living in today's interconnected world. At Humber, we are proud to have in-house experts and professionals who are helping make your college experience the best it can be. If you want to know more about studying abroad, check out our blog to learn about the students boarding on one of these amazing study experiences in Italy this spring. For full information on all Global Opportunities at Humber, go to: international.humber.ca/global-opportunities.html.